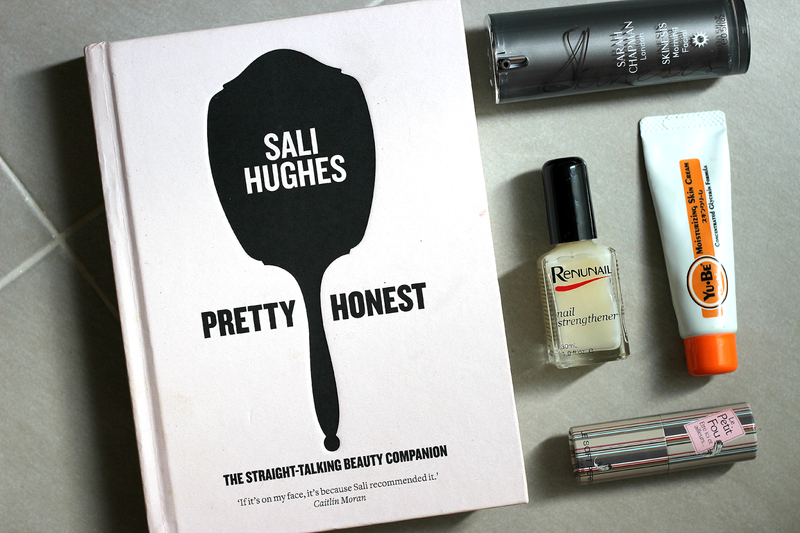 Products aside for a sec, their selection stretches as far as the beauty book department and features one of the best I've ever flicked through; Sali Hughes Pretty Honest. This lady knows her stuff and covers topics from 'public displays of grooming', acne and hair problem solving - it's equal parts laugh as it is lipstick and liner and a great all-round coffee table book to make you chuckle. My pick of their perfumes are the twist-up solid stick scents by Le Soft Perfume which just smell all kinds of beautiful and unique, are great for travel and leave a subtle trail of shimmer over the skin as well as a long-lingering scent. Tracking down the Dr Lewwin's Renunail Strengthener has been a task in itself recently, but you can find it right here, and it comes highly recommended from me if you've tried any other nail growth product on the market with no luck, this one's the winner. As far as foreign beauty goes, categories cover 'Tokyo Pitstop' and 'Korean Beauty' where you can find the miracle multitasker that is the Yu-be Moisturising Skin Cream - lips, cuticles, cuts and dryness, it treats them all. The currently much-covetted Fairy Drops Mascara is also listed here and is said to be Japan's #1 best seller so it comes as a non-shocker that it's presently sold out, but the latest Scandal Queen Quattro is still available in these parts. Skincare wise, they're too one of the only Sarah Chapman stockist, but at the moment only have her Spot Stickers up for grabs. When said out-of-stock times get hard, it's worth checking here for the much coveted Pixi Glow Tonic, an exfoliating toner I'm yet to sweep over my skin but something I've only heard good things about and I think the fact that it flies off the shelves as soon as it's restocked speaks for itself. I'm in debate whether anything can come close to my Xen-Tan favourite, but I've heard through the fake-tan grapevines that the James Read offering is pretty amazing indeed - a mousse formula that's foolproof, serves up a golden bronze that's instant and long lasting? I'm there. That next leads me onto the brand Prtty Peaushun, and if you're UK based, you'll only find this here. Their Skintight Body Lotions come in three shades and are basically tights-for-your-legs-in-a-tube (or more like a Capri Sun pouch. I like) using a seriously nourishing formula which corrects skin imperfections. Last up and new-just-in is the Vita Coco Coconut Oil - their drink selection is just pure goodness, so I have an even better feeling for this in the way of a skin, hair and body care treatment, as well as being a kitchen cupboard staple. I need to try the Dr Lewinn's Renunail as the OPI Nail Envy was a complete fail for me! I've never been into any stores with a BeautyMart section but I'm now perusing the website with a mental note to pick up at least 3 things you've mentioned here, especially a Prtty Peaushun body lotion. I've always meant to say to you that I love your writing style, it all just flows beautifully when reading and you really have a way with words! I really like this sort of post!